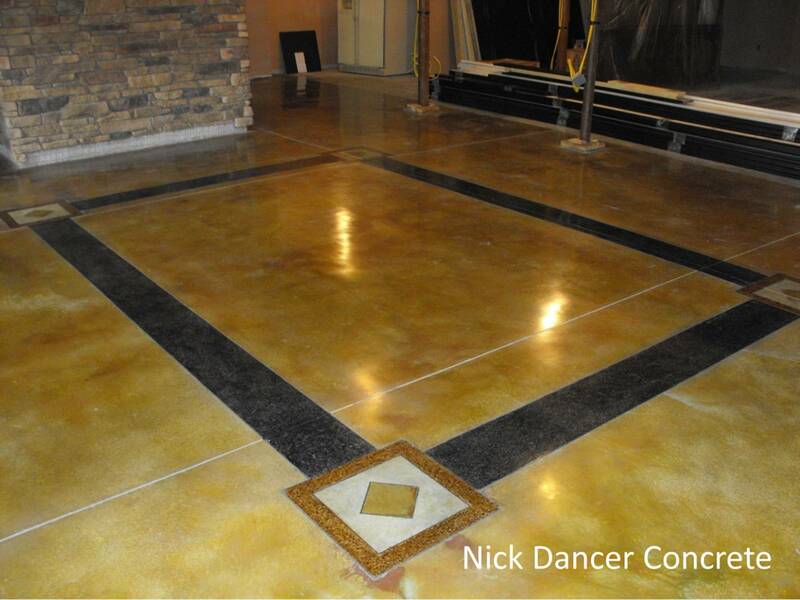 When you want to add some decorative concrete to your home or business you must find a qualified professional to complete the work. Although this may seem like a daunting task, with some quick tips it should be easy to find the right company. Your project is important and you want to make sure you hire someone who respects you, your home, and provides a quality product that is beautiful and will last throughout the years. The first step to hiring decorative concrete professional is to research firms who complete this type of work in your area. Ask friends, family and co-workers who has completed projects for them. The internet is also a great resource to find experts in decorative concrete. Spend some time on the contractor’s website to get a feel for the company. Once you have made your list of several contractors in the area, call or email each one. Ask questions relating to your project and about their experience. Can they handle the size and scope of you project? Where did they receive training for decorative concrete? Are they certified installers of the products they use? Can they provide references of past customers? Are they a member of any trade organizations? Has their work been featured in any type of print or digital media? After communicating via phone or internet, select the qualified contractors to come to your home and provide an estimate to complete the work. Great customer service starts at this point; so take note whether the contractor has returned your phone calls, dresses properly and answers all of your questions and concerns. Once you receive the proposals, it’s time to decide who you feel most comfortable completing the work. Be wary of considerably low bids. Quality work requires skilled labor, quality materials and artistic talent, which all add cost to a project. Remember you get what you pay for. Go with a contractor who is willing to show you what they can do, such as preparing jobsite samples. When you decide that you are ready to move forward with the project, the contractor should provide a contract. Never start a project without a proper contract. The contractor should give you able time to read and completely understand the terms of your agreement.